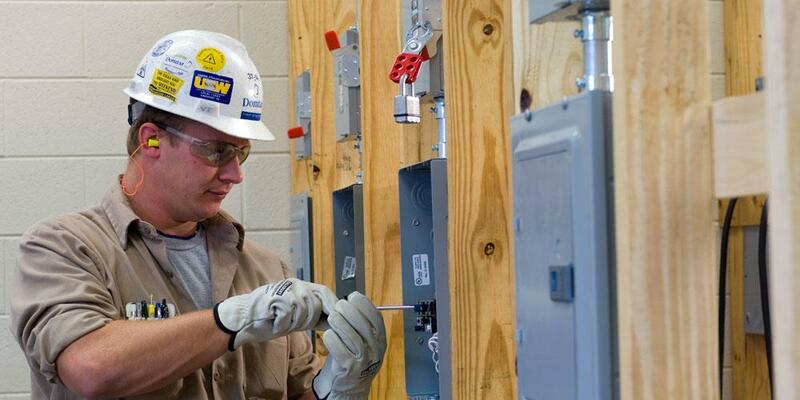 The Electrical Technology - Concentration: Electromechanical program prepares individuals for employment in electrical and mechanical maintenance fields as entry-level maintenance technicians. With the required technical skills, individuals can diagnose electrical and mechanical problems and make appropriate repairs with minimal down time. The program will also address preventative maintenance issues to prevent maintenance problems from occurring. Program, install and troubleshoot solid state devices such as PLC's and frequency drives. Calculate and measure the electrical and electronic circuit parameters using appropriate troubleshooting procedures. Demonstrate and perform safe working practices in the electromechanical industry. Demonstrate effective speech and written skills necessary for communications in the workforce and customer interaction. Design, install and troubleshoot circuits for the operations and control of motors, alternators and generators. Utilize welding practices used in the electromechanical field. Use basic and intermediate rigging methods for safe installation and removal of equipment and machinery. Use diagrams, blueprints and equipment manuals for troubleshooting and repair of machinery. Install, maintain, and troubleshoot hydraulic and pneumatic systems. Properly use hand tools and power tools in the maintenance and repair of electrical and mechanical equipment. Install, repair, and maintain pumping systems to include associated piping. Indicate Electromechanical Technology as the desired major on the Northeast State application form. Meet with an Electromechanical Technology program faculty advisor prior to registering for classes. Students enrolling in the program must also complete required General Education Courses.